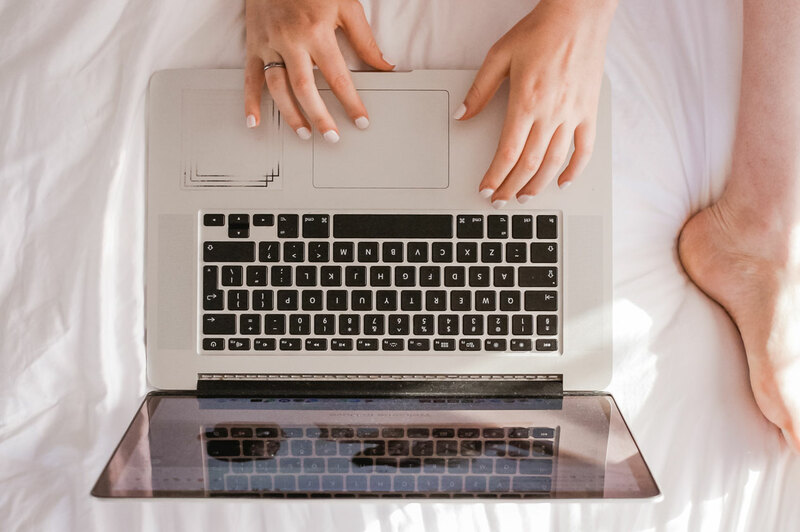 So, you’ve graduated from mass-produced poster prints and Ikea wall-decor and are looking inquisitively at the realm of high-end, original art and its gatekeepers: the art fairs, the online galleries, the “galleries near me” Google search results—now all open in a frustrating number of browser tabs on your laptop. We don’t blame you. Finding the perfect original yet affordable painting is a bit like unicorn hunting. The first step after figuring out that you want to buy an original painting is figuring out where to look. To help, we’ve identified the pros and cons of five places you might go to purchase original artwork in New York City and beyond. Pros: Seeing art in person. Highly curated selection. Cons: Expensive, limited options. Walking in and feeling like the gallery girls will you throw you out for not being rich enough like what happened to Julia Roberts’ character in Pretty Woman…. ‍The Breakdown: Brick-and-mortar galleries are great for window shopping and seeing thematically curated shows (for free!). But if you’re stepping into a gallery as a buyer, you need to arm yourself with research. For starters: which of 1,500 art galleries do you go to in New York City alone? The blue-chip ones you may have heard of—Zwirner, Gagosian—might not give you the time of day, even if Richard Gere is bank rolling your shopping trip. In New York City, the Lower East Side may be your best best. While hardly fringe, galleries here have a buzzing up-and-coming energy while claiming a more egalitarian approach in a luxury market. They’re broadening the range of artists exhibited and collectors reached, and they’re worth a visit. If you’re feeling more adventurous, check out Bushwick galleries for the latest emerging artists and experimental work. A few other notable gallery districts include (but aren’t limited to): Boston’s SoWa neighborhood and Gallery Row in L.A.
Next Steps: Yes, you’ll have to gallery hop. Look up weekly openings and take your time over a few weeks and months to see what’s out there. Do your research and ask the right questions. Establish a relationship with the gallery. Ask: what style does it focus on? Which artists does it represent? How did these artists get discovered? Why were they selected? What types of shows does the gallery put on? What keeps collectors coming back for more? If you don’t live in a city with a lot of options, it might be worth traveling outside of your hometown. One downside to the brick-and-mortar approach is that the right work of art for you is probably not the closest one. Cons: Overly crowded. Art designed for immediate gratification. Cringe-worthy shopping mall kiosk vibe. 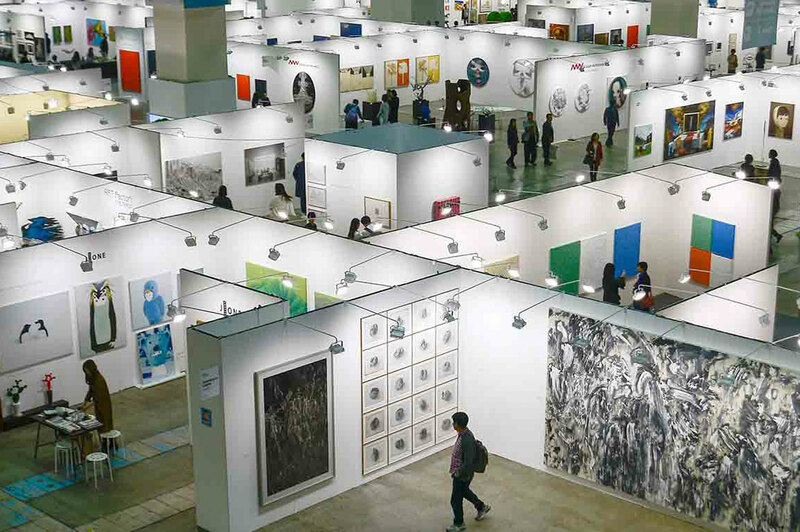 The Breakdown: Make no mistake: art fairs are meant to be revenue-generating blockbusters. Galleries will shell out a lot of money shipping pieces thousands of miles to a little booth for a weekend, hoping to buoy their annual bottom lines. Because there are so many galleries per-square-meter vying for your attention, it’s actually a great place for the first time buyer to get a sense of what they like and what they don’t. It’s gallery research supercharged into one weekend. The Armory Show and Frieze are great, though they’re probably better for gawking at celebrity shoppers than being one yourself. TEFAF is also geared towards high-end art collectors, but it’s focused on Old Masters paintings, drawings and antiquities. Art on Paper is a goldilocks fair in our opinion. It attracts many leading galleries while focusing on affordable works on paper. The Affordable Art Fair is billed as the place to buy original paintings in your price range, but its galleries skew heavy on the kind of glittery, kitsch stuff you’ll grow out of just like you did your former wall hangings. The Other Art Fair allows artists to be their own gallerists. Although the fair is curated, quality can be hit-or-miss. But if you find something you love, chances are you’ll also get to meet the artist while you’re there. Next Steps: Be selective about which art fairs you attend and be wary of the urgency galleries create in this environment. They realllllly want you to buy things (in part so that they don’t have to ship them home). You may be swayed into impulse-buying something that you won’t love a few years from now. Go for multiple days if you can and buy late in the weekend. If galleries have good relationships with real artists, they can help you find a piece just like the one you didn’t “act fast” on at the VIP preview. Pros: Ability to compare pricing, sizing etc. Lots of options. ‍Cons: Choice overload. A didn’t-I-see-this-five-pages-ago-it’s-all-starting-to-blur-together amount of options. Not seeing the work in person before purchase and mixed return policies. Shipping can add significantly to the cost, especially for larger sized pieces. The Breakdown: The art industry is no exception to going online in our digital age. Now that you can compare paintings as easily as dresses, flights and books, many have rung the death knell for brick-and-mortar galleries. Over the past decade hundreds of online galleries have sprung up, many offering different degrees of quality and services. Artsy is a subscription based platform for galleries. It’s great for highly filtering search results based on location, price, style, etc., but many works do not show pricing and you’ll have to contact the gallery anyway. Saatchi Art has a little bit of everything and supports emerging artists by offering them higher than average commission rates. But you may find that the average quality is lacking and spend a lot of time looking for a diamond in the rough. 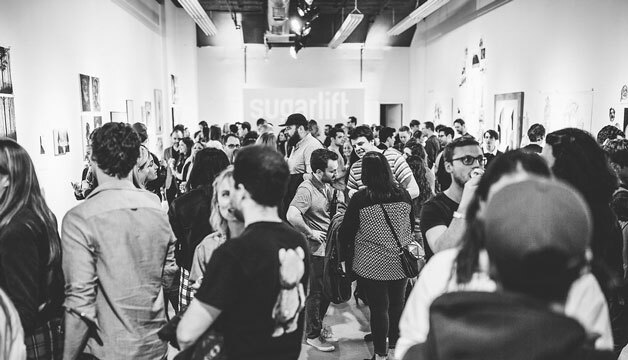 Online galleries like Uprise Art, Tappan Collective and Sugarlift are more curated and tend to work with a stable of artists, similar to traditional galleries. They also have free art advisory services and tend to be more customer service-oriented. There are plenty of other online galleries out there. If they aren’t listed above, it’s probably because they’re more print-focused (another blog post to come on this topic! ), don’t have the quality of original art we would recommend, or we simply don’t know about them yet. Next Steps : To evaluate online platforms, start with the following questions: How curated is the platform? Does it feel like walking into Century21 where you have to sort through bins of ill-fitting Armani Exchange sweatpants to find the floral day dress you’re looking for? Is the online gallery pro-artist? That is, does it fairly compensate its artists in terms of the percentage commission paid? What services does it provide? Are you able to see a painting in person before deciding if it’s the one? What is the shipping and return policy? Similar to brick and mortar galleries, it’s worth getting to know the online gallery over time to make sure it’s the right fit. Pros: Cutting out the middleman means 100% of sale price supports the artist. ‍Cons: Navigating 2.1M and counting #contemporaryartist posts, or tens of thousands of independent artists in New York City alone. Little to no logistical support. Also, high follower count ≠ high quality. The Breakdown: Artists have more ability than ever to speak directly to their audiences. And when you purchase work from independent artists, you’re directly funding their rent, not a gallery’s. 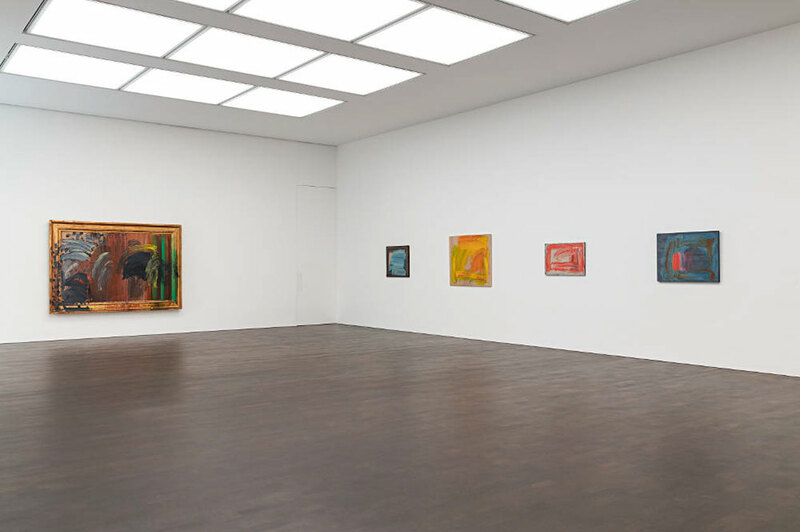 However, artists can’t provide the support (searchable inventories, defined lists of available works, non-shady payment processing, delivery & installation) that connectors like gallerists and advisors can. You might be tempted to negotiate with artists if you know that they aren’t splitting commissions with a gallery. However, getting them to sell you pieces for cheap actually devalues the artist’s work and makes it harder for them to advance their careers. If you’re buying directly from an emerging artist and negotiating way down on price, you’re basically defeating the point of supporting an emerging artist. Where to go to buy art directly from artists? 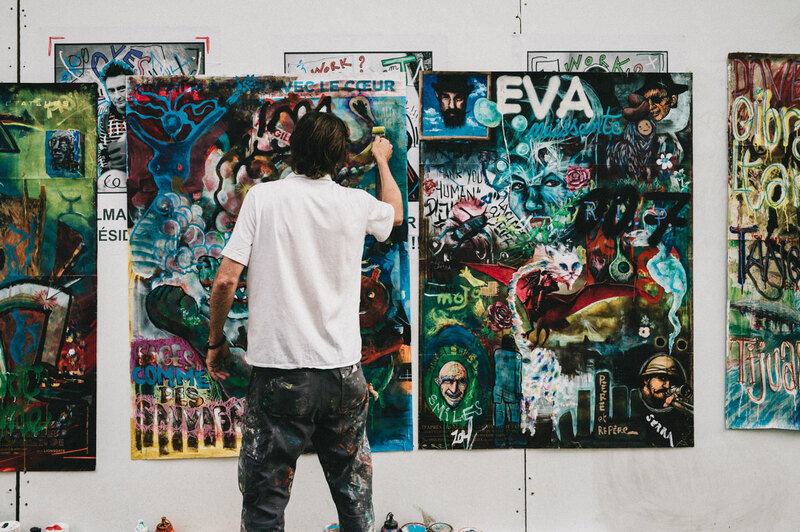 If your city has a vibrant artist scene, open studio weekends are a great time to see where the magic happens. Meet the artists, see if you connect with their overall vibe. Buy something to remind you of that amazing moment. Browse artist websites to see their broader portfolios. Some artists even have online shops where you can purchase work directly. However, these tend to have smaller, less expensive pieces that probably won’t solve that large blank wall above your couch. Instagram is the go-to platform for artists to share their latest work. It’s also fun to get a sense of their personalities and lifestyle outside of the studio! Some artists will respond to a friendly DM, but we would advise on only reaching out with serious inquiries as not to waste the artist’s studio time. Etsy and TicTail are also options to buy art directly from artists, but in our opinion they’re best for finding creative throw pillows and hipster coffee mugs. Next Steps: Instagram scroll and studio hop away! If you’re an experienced art buyer who knows the right questions to ask about sizing, pricing, materials, transportation, installation, curating multiple pieces in a collection, etc., you can be confident that direct purchase from artists is the way to go. Pros: Navigating the above listed categories. Helping you find the best high-end, original art in your price range that you love. ‍Cons: Don’t I have to be uber rich to have an art advisor? The Breakdown: Art advisors have traditionally neglected the affordable art space, instead focusing on building important collections for ultra high net worth individuals or hedge fund lobbies. Working with an art advisor hasn’t usually been feasible for the rest of us—you know, us plebeians sourcing original yet affordable paintings. However, there are more options today for the would-be individual collector who needs a bit of help. For example, Sugarlift’s art advisors combine online access and technology tools for visualizing art in your space. This may be the best way to solve problems including option overload, online uncertainty, and those logistical headaches. Winston Art Group and Samuels Creative are leading art advisory firms helping both individuals and corporate accounts find art for their spaces. They tend to focus on blue-chip, investable (read $10k+) artwork. Many interior designers are well versed in the art world, as well! Once again, ahem!, Sugarlift has an art advisory service designed to make it simple to find original art in your style and price point. Next Steps: Whether you’re a company, a billionaire, or a regular person looking for a single painting for your home, ask your potential advisor the following questions: Do you work directly with artists or with galleries? How do you get paid? Is it by the buyer or the seller, and is it time-based or a percentage of the sale? What additional services do you provide in terms of framing, delivery and installation? A warning note: Some advisors claim to know what will appreciate in value over time. However, the art market is a volatile place even for the experts. No one can really predict future value, particularly for affordable art in the primary market. If your advisor is recommending that you buy art for financial investment instead of for personal joy, get out of there. And if you skimmed this whole post and still have no idea how to buy a painting, we recommend starting here.